KNM-WT-40000 is the type specimen for the species Kenyanthropus platyops, and is an almost complete cranium discovered in August 1999 by J. Erus. 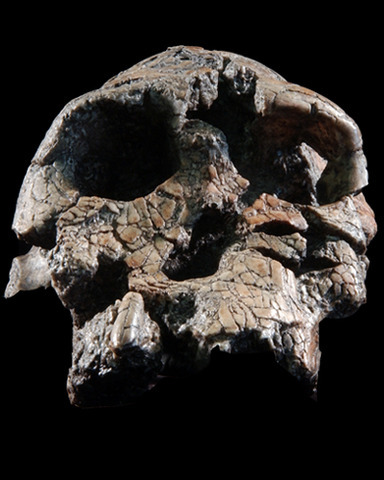 The cranium dates to around 3.5 Ma and was found to the west of Lake Turkana in Kenya, at the Lomekwi locality. Associated flora and fauna of the site suggest that the habitat was a mixture of grasslands and wooded environments. KNM-WT 40000 exhibits a relatively flat face and cranial capacity similar to that of australopiths, but displays many derived facial features that separate it from that group. The species represents a higher diversity in the middle Pliocene hominin lineages in eastern Africa.